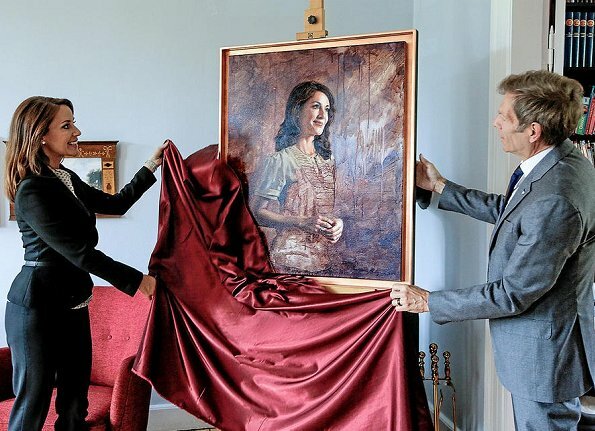 On June 28, 2017, Princess Marie unveiled a new portrait of herself painted by artist Mikael Melbye. 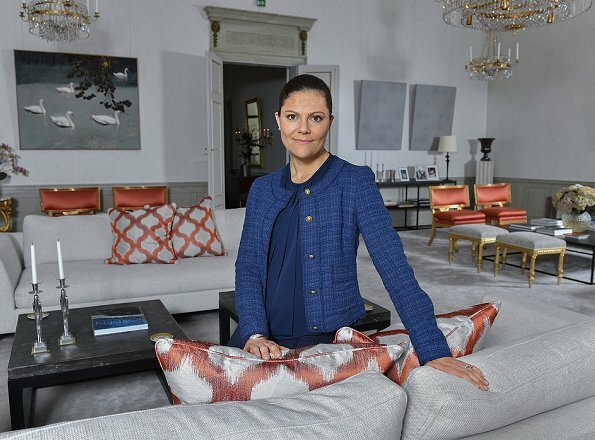 Artist Mikael Melbye painted the new portrait of the French-born Princess and was on hand when it was presented. Mikael Melbye was born in Copenhagen in 1955. MM was bestowed a knighthood by Queen Margrethe in 1996. 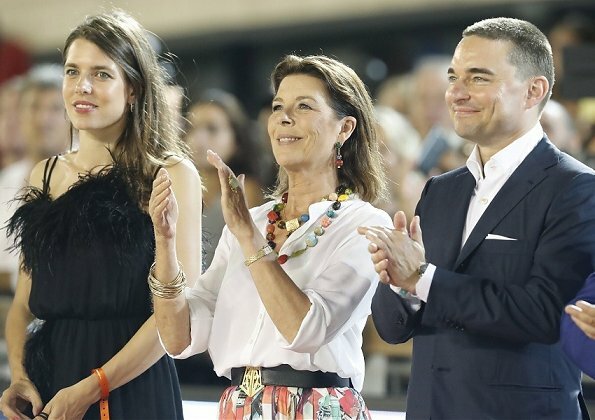 On June 30, 2017, King Felipe VI and Queen Letizia of Spain attended the 'Rescatadores de Talento' (How to train the enterprising talent) meeting held at Girona Conference Centre (Palacio de Congressos de Girona) in Girona. 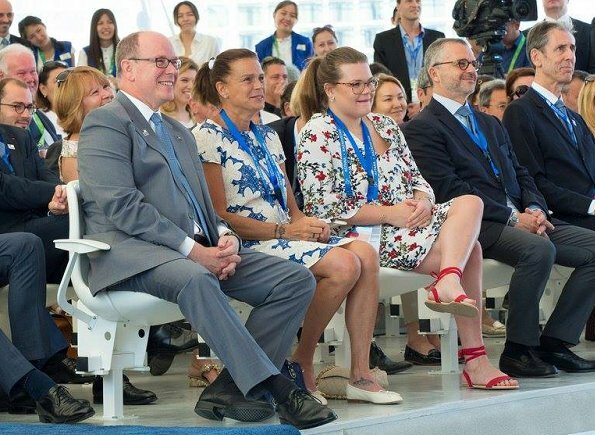 The Spanish royal couple took part in the events organized by the Princess of Girona Foundation (FPdGi). King Felipe VI of Spain and Queen Letizia of Spain attend the 'Princesa de Girona Foundation' (FPdGi - Fundación Princesa de Girona) awards ceremony held at the Girona Conference Centre (Palacio de Congressos de Girona) on June 29, 2017 in Girona, Spain. 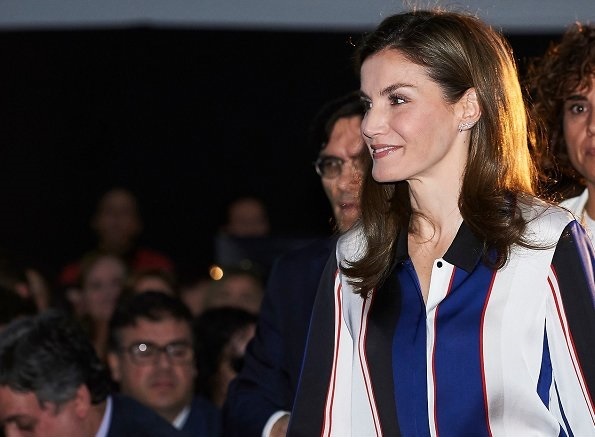 Queen Letizia wore a white Jumpsuit by Massimo Dutti. King Felipe and Queen Letizia of Spain attended a meeting of the Prince of Girona Foundation ( FPdGi - Fundación Princesa de Girona) at the Girona Conference Centre on June 29, 2017 in Girona, Spain. Duchess Catherine of Cambridge visited the new V&A Exhibition Road Quarter at Victoria & Albert Museum on June 29, 2017 in London, England. The V&A Exhibition Road Quarter was designed by British Architect Amanda Levete. 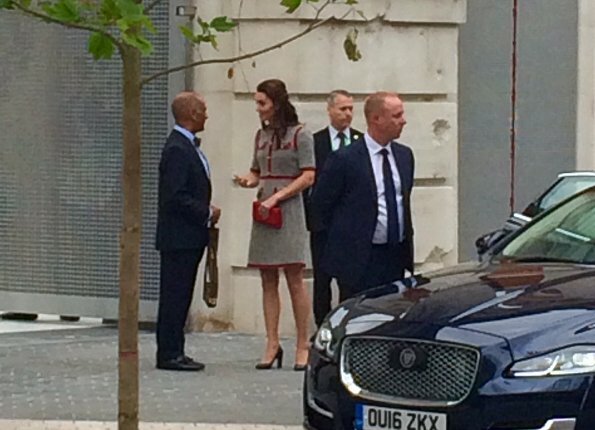 The Duchess wore a tweed dress by GUCCI. 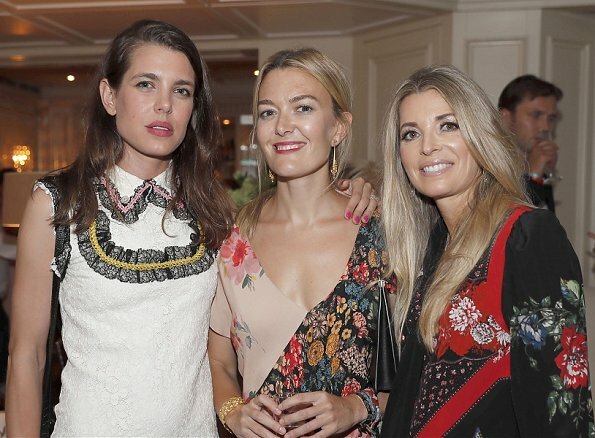 Princess Eugenie, Lady Kitty Spencer and Amelia Windsor attended the Serpentine Galleries Summer Party at the Serpentine Gallery on June 28, 2017 in London. On June 28, 2017, King Felipe and Queen Letizia attended the 40th anniversary ceremony of the first democratic elections held at the Palace of the Parliament in Madrid, Spain. 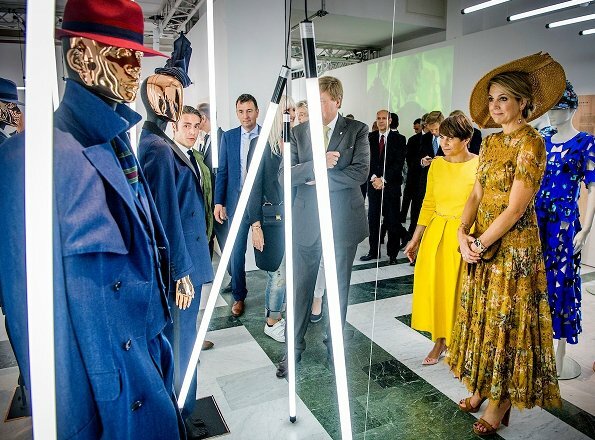 King Felipe and Letiza visited "40 years since the first democratic elections" exhibition. Queen Letizia wore a red lace dress by Carolina Herrera. 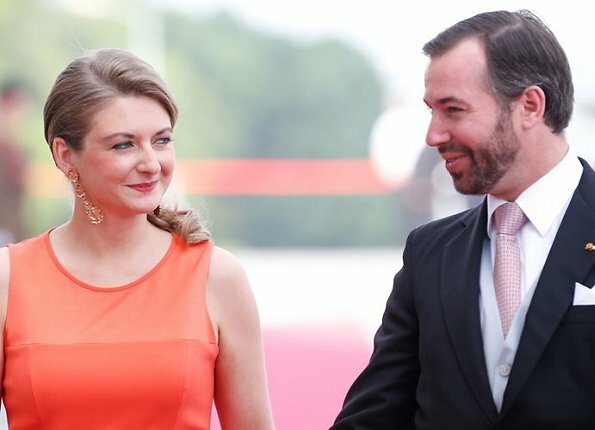 On June 27, 2017, Grand Duke Henri and Duchess Maria Teresa, Hereditary Grand Duke Guillaume and Hereditary Grand Duchess Stéphanie of Luxembourg hosted a garden party at Berg Castle (Schlass Bierg) in Luxembourg. 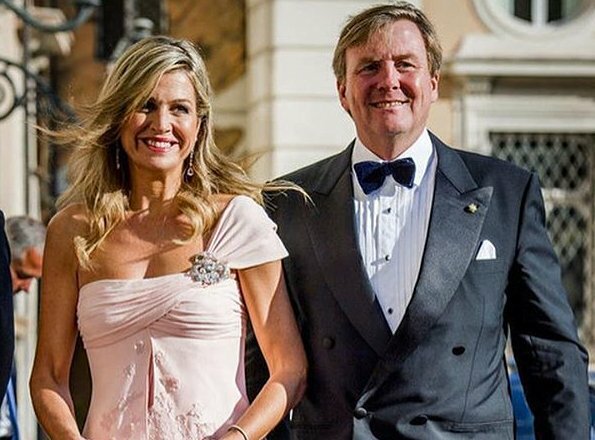 Queen Maxima and King Willem-Alexander of The Netherlands met with Indian Prime Minister Narendra Modi at Villa Eikenhorst in Wassenaar. Prime Minister Narendra Modi also visits Germany, Spain, Russia, and France to build ties with European countries. 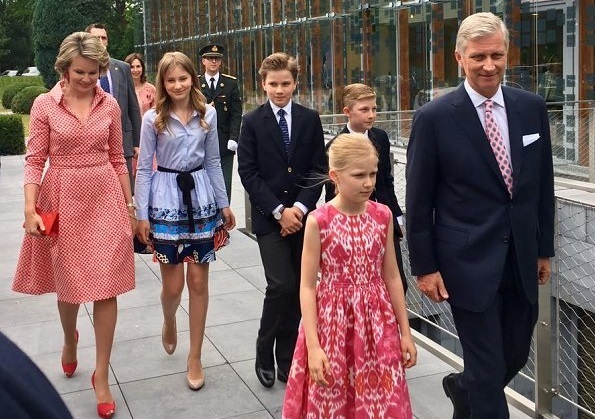 Queen Maxima wore a multicolor paisley print blouse and skirt by Etro. 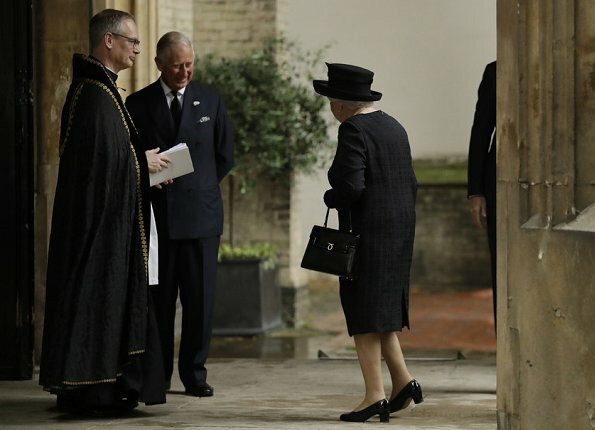 Queen Elizabeth II, Prince Philip, Prince Charles, Countess Sophie of Wessex and Princess Anne attended the funeral of the Countess Mountbatten of Burma held at St Paul's Church on June 27, 2017 in London. The Countess was the Duke of Edinburgh's first cousin and was the daughter of Charles's great-uncle Earl Mountbatten. 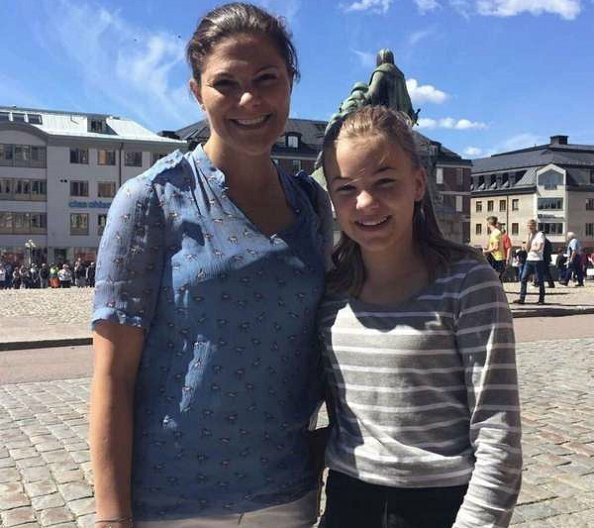 Expressen magazine published photos of Princess Madeleine and Princess Sofia of Sweden taken while they were on summer holiday in St Tropez. 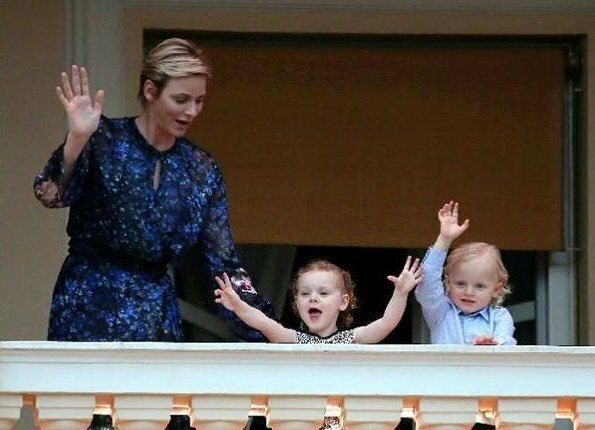 According to that newspaper, Prince Carl Philip, Princess Sofia, Prince Alexander and Princess Madeleine, Chris O'Neill, their children Princess Leonore and Prince Nicolas are on a holiday in St Tropez before they come to Öland. 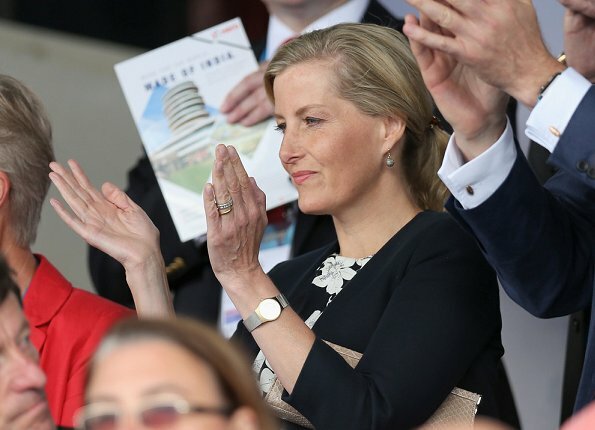 Countess Sophie of Wessex watched Men's World Hockey League Semi Final match played between "Argentina v The Netherlands" and "Malaysia v England" at the Lee Valley Hockey and Tennis Centre in the Queen Elizabeth Olympic Park on June 25, 2017 in East London, England. 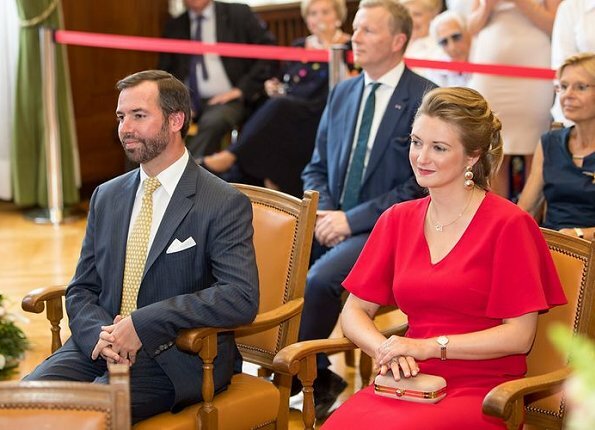 Grand Duke Henri and Grand Duchess Maria Teresa of Luxembourg, Hereditary Grand Duke Guillaume and Hereditary Grand Duchess Stephanie of Luxembourg attended the 'Te Deum' mass in the Luxembourg Notre Dame Cathedral as part of Luxembourg National Day celebrations which are held on 23 June. King Felipe and Queen Letizia of Spain attend the opening of the Botin Center on June 23, 2017 in Santander, Cantabria, Spain. King Felipe and Queen Letizia visited the Monastery of Santo Toribio de LIebana on the occasion of the Lebaniego jubilar year. 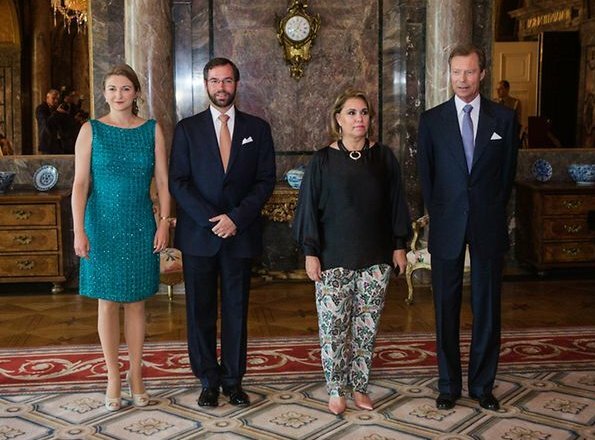 Grand Duke Henri, Grand Duchess Maria Teresa, Hereditary Grand Duke Guillaume and Hereditary Grand Duchess Stephanie of Luxembourg celebrate National Day 2017 on June 23, 2017 in Luxembourg. 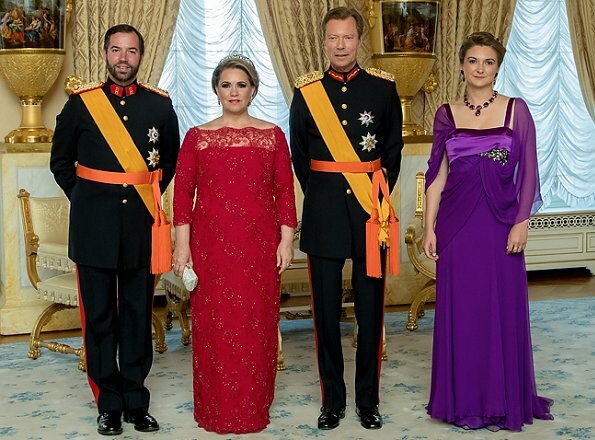 The Grand Duke's Official Birthday also known as Luxembourgish National Day is celebrated as the annual national holiday of Luxembourg on 23 June. On 22 June 2017, King Felipe VI and Queen Letizia of Spain attend meeting of the Spanish Royal Academy (RAE) held at Academy in Madrid, Spain. Queen Letizia wore a pleated dress from 'Diblissea' collection of Hugo Boss. 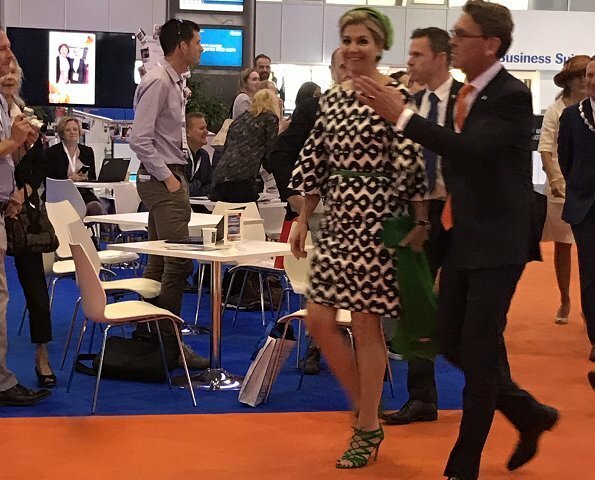 On June 22, 2017, Queen Maxima and King Willem Alexander attended a reception in Rome, Italy, which is organized by the Dutch-Italy Community Association. 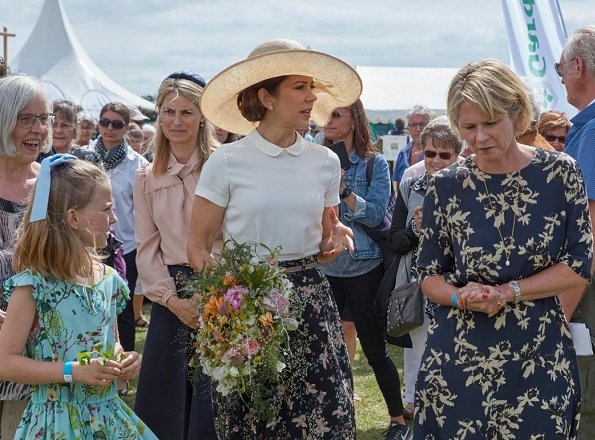 Queen Maxima wore a linen maxi dress by LISA MARIE FERNANDEZ. The Trondheim visit of Crown Prince Haakon and Crown Princess Mette-Marit are going on. 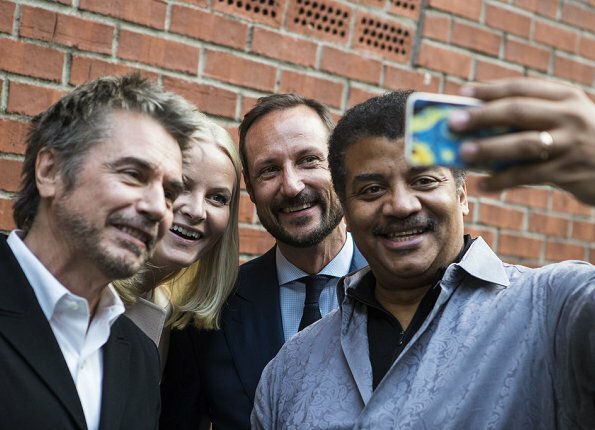 On the second day of their Trondheim visit, Crown Prince Haakon and Crown Princess Mette-Marit attended the second session of the Starmus Festival 2017 that was held at Trondheim Spektrum on June 21, 2017 in Trondheim. 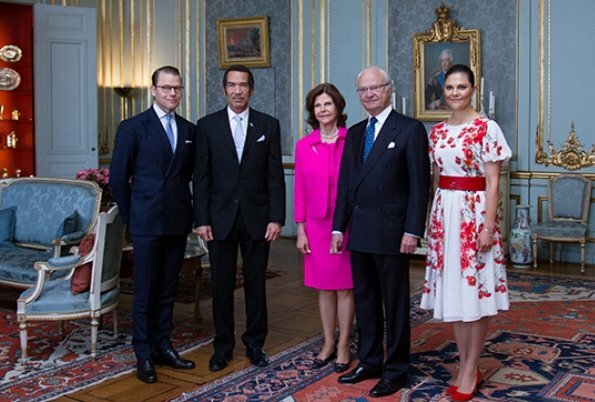 On June 21, 2017, King Carl Gustaf, Queen Silvia, Crown Princess Victoria and Prince Daniel of Sweden attend a meeting with President of the Republic of Botswana Mr Ian Khama at the Royal Palace in Stockholm, Sweden. The talks were characterised by the good relations that have existed between the two countries since Botswana gained its independence fifty years ago. 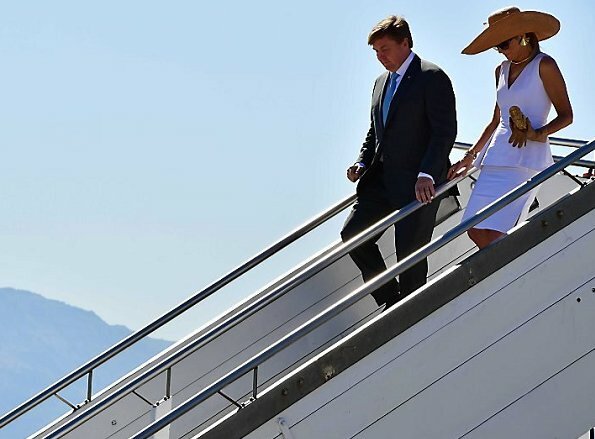 On the second day of their Italy visit, King Willem-Alexander and Queen Maxima of The Netherlands arrived in Palermo on June 21, 2017. The Royal couple visited the Mercato del Capo market (Capo's street market) at Palermo in Sicily, Italy. 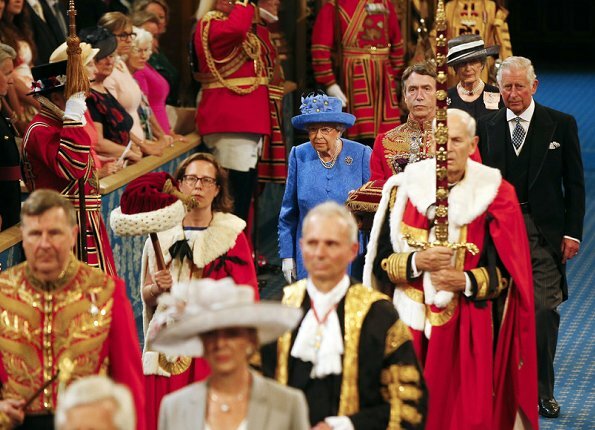 Queen Elizabeth II and Prince Charles attended the State Opening Of Parliament in the House of Lords on June 21, 2017 in London. The Queen formally opened parliament 2017. 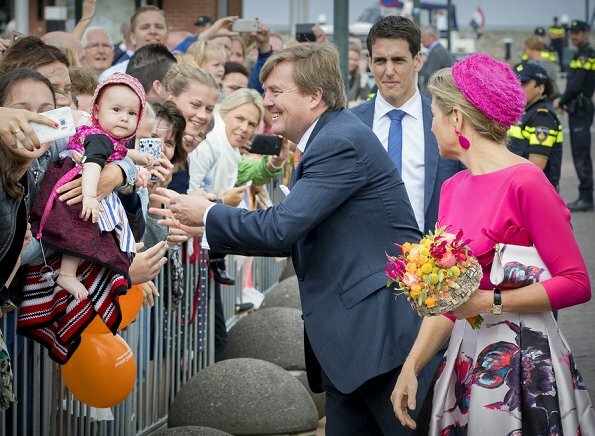 This year the Queen not wearing the imperial state crown and robes of state. 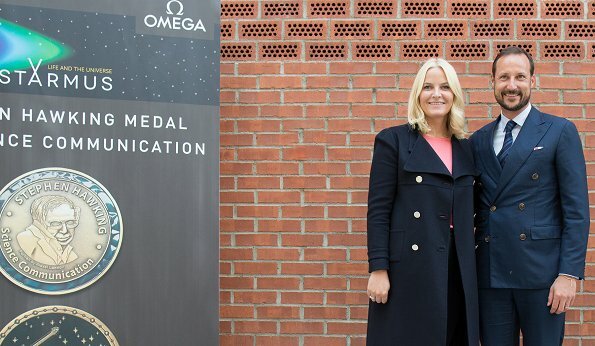 On June 20, 2017, Crown Prince Haakon and Princess Mette-Marit of Norway attended the Starmus Festival 2017 in Trondheim, Norway. The Starmus International Festival is an international gathering focused on celebrating astronomy, space exploration, music, art, and allied sciences such as biology and chemistry. 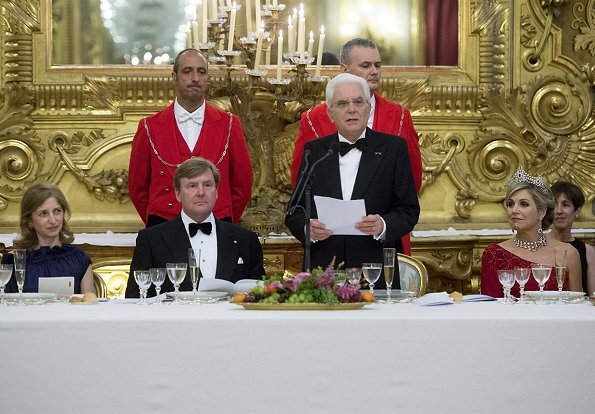 In the evening of June 20, 2017, King Willem-Alexander and Queen Maxima attended state banquet presented by Italy's President Sergio Mattarella and Mrs Laura Mattarella (Daughter of the President) at the Quirinal Palace in Rome, first day of a royal state visit to Italy. 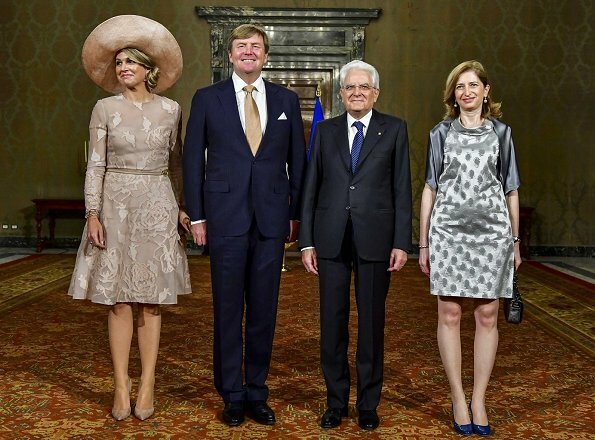 The Dutch royal couple is on a four-day state visit to Italy. 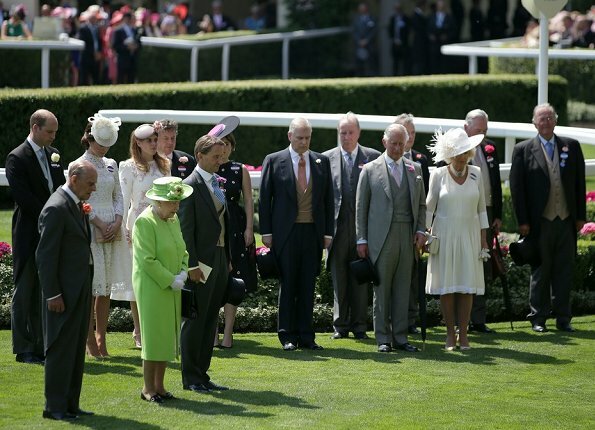 Queen Elizabeth and Prince Philip, Prince Charles and Duchess Camilla, Duchess Catherine of Cambridge and Prince William, Countess Sophie of Wessex and Prince Edward, Princess Beatrice and Princess Eugenie, Zara Phillips and Mike Tindall attended the Royal Ascot 2017 at Ascot Racecourse on June 20, 2017 in Ascot, England. The five-day meeting is one of the highlights of the horse racing calendar. On June 20, 2017, Queen Letizia of Spain visited the town of Aviles in Asturias, northern Spain. The Queen met with the teachers and students who took part in last year's cultural program developed by the Princess of Asturias Foundation. Crown Prince Naruhito of Japan on a boat trip with Crown Princess Mary of Denmark on June 20, 2017, Copenhagen, Denmark. The trip went through the channel in the old harbour to the Little Mermaid statue (Den lille havfrue) at Langelinie . Crown Prince Naruhito is on a 6-day visit to Denmark to commemorate 150 years of diplomatic ties. Prince Albert and Princess Charlene of Monaco hosted a reception for the 'The Bold and The Beautiful' 30th Years anniversary during the 57th Monte Carlo TV Festival (Festival de Television de Monte-Carlo - FTV2017) at the Prince's Palace (Palais Princier) on June 18, 2017 in Monte-Carlo, Monaco.